Heavy sleeper? 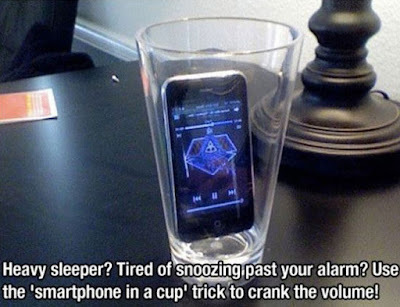 Tired of snoozing past your alarm? Use the 'smartphone in a cup' trick o crank the volume.